Dana Sellers is the CEO of Encore Health Resources, one of the fastest-growing consulting firms in the Healthcare IT industry and one of Modern Healthcare magazine’s “Best Places to Work in Healthcare” for three years in a row. Dana has more than 25 years of experience in healthcare, technology, and consulting. She helps healthcare providers bring about positive change through improved processes, enabling technology, and the insights that come from business intelligence and health analytics. Dana’s unique leadership style combines business savvy, incisive industry understanding, entrepreneurial IT inventiveness, and a mix of genuine warmth and integrity that touches everyone she meets. As a direct result, Encore’s 2012 revenues surged 112%, and its talent base has grown exponentially to meet a constantly increasing client base that includes some of the most respected health systems in the world. Before founding Encore in January 2009, Dana was President and COO of Healthlink, which was then the largest privately-held healthcare-information-systems consulting firm. After IBM acquired Healthlink in 2005, Dana served as a Partner in IBM’s Global Business Services and leader for the U.S. Healthcare Provider team. Dana’s career has also included leadership roles in DuPont and Trinity Computing Systems, which she co-founded. Dana is involved in healthcare and healthcare technology at a national, state and local level. 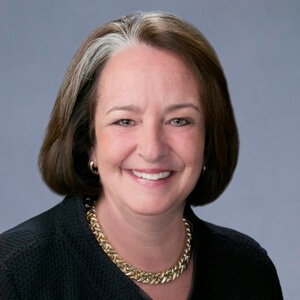 She is presently a member of the Board of Trustees for the Texas Health Institute and has also served as interim CIO for the University of Texas M.D, Cancer Center and INTEGRIS Health. In addition, she has served on the Board of the College of Healthcare Information Management Executives (CHIME), the CHIME Foundation, and the CHIME Education Foundation. Deeply committed to improving the health of her local community, Dana is also a past Chair of the Board of Healthcare for the Homeless in Houston, where she lives. Dana was recently named Entrepreneur of the Year in Healthcare for the Gulf Coast Region by Ernst and Young, and was honored as a Distinguished Alumnus of the University of Texas College of Engineering.